Under their dresses, women wore long loose-fitting trousers called “lozim” (Uzbek), or “shalwars” (Tajik) with a drawstring top that rested on the hips. The upper part was usually made with a less expensive fabric. The narrow cuffs were often embellished with embroidery or some kind of fancy trimming. Traditionally, these trousers were worn from childhood through old age. 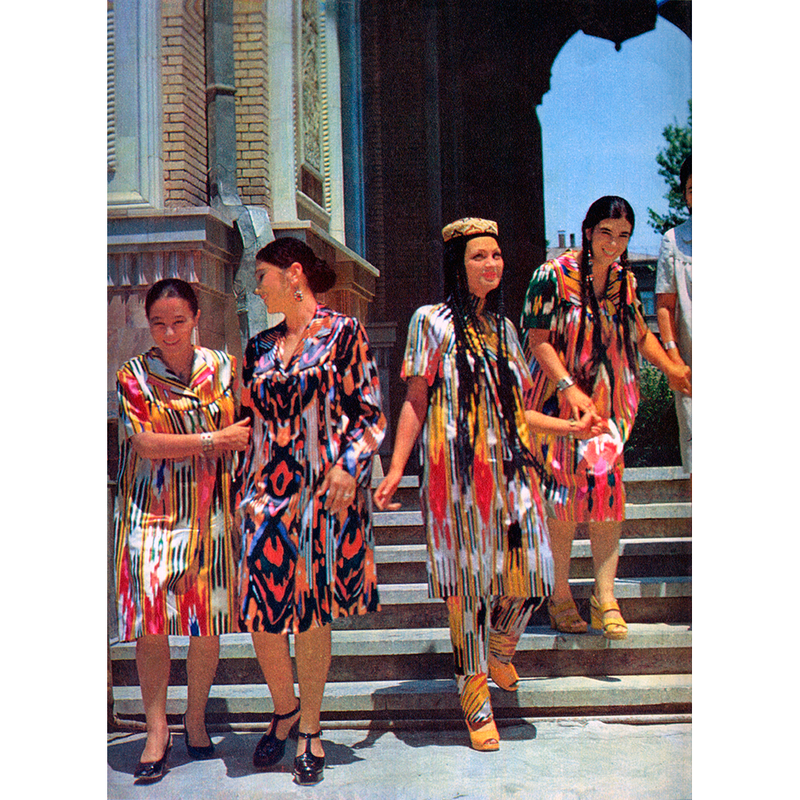 During the latter decades of the Soviet era, young women began to forgo wearing trousers underneath their dresses like these stylish young ladies from an Uzbek fashion magazine of 1975. 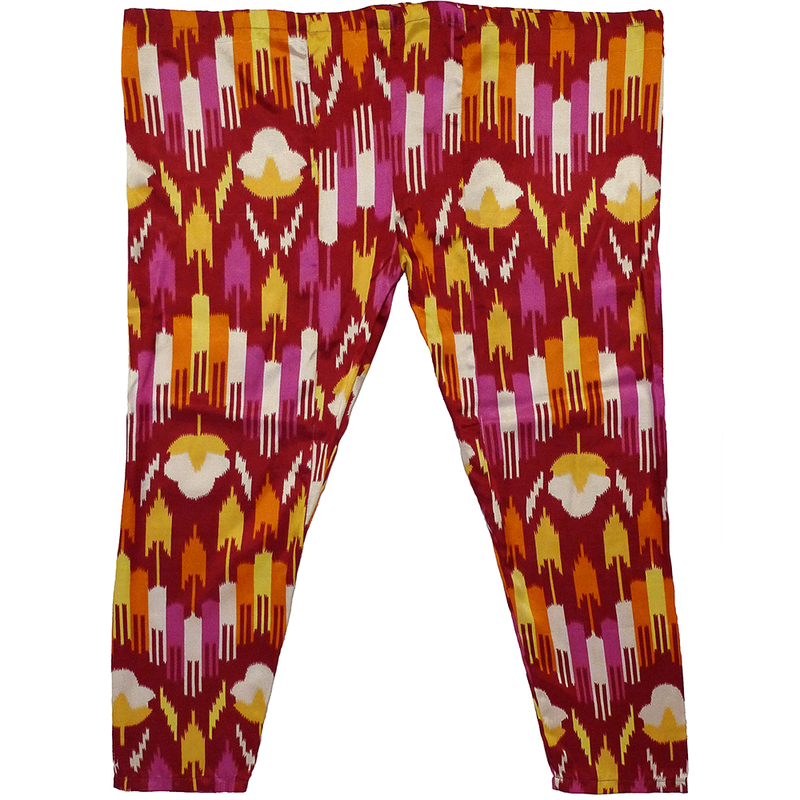 The printed fabric of these trousers is an interesting combination of traditional ikat motifs with cotton bolls. 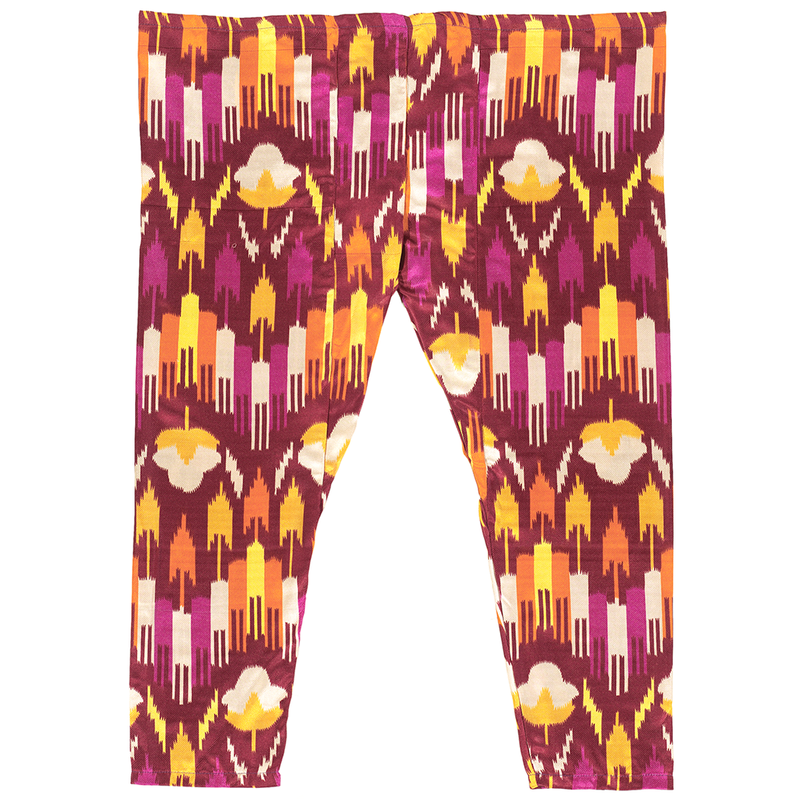 If you are interested in these trousers and would like more information please contact Susan Meller.